Cut eggs lengthwise in half. In medium bowl, slip out yolks from 6 of the eggs; mash with fork. Discard remaining yolks, or reserve for another use. 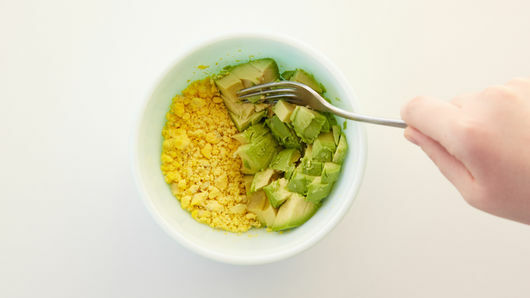 Add avocado to yolks in bowl, and mash. 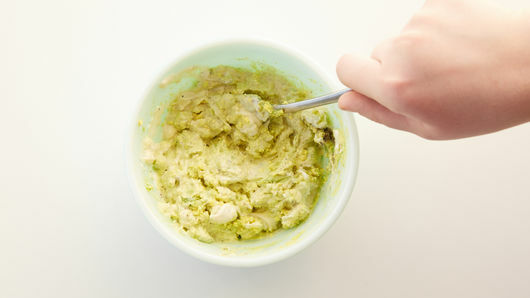 Add mayonnaise, lemon juice, salt and pepper to same bowl; mix well. Fill whites with egg yolk mixture, heaping it slightly. Cover and refrigerate up to 24 hours. Garnish with chopped chives before serving. Make it easy! Transfer filling mixture to resealable food-storage plastic bag, and snip 1/2-inch corner from one end of bag. 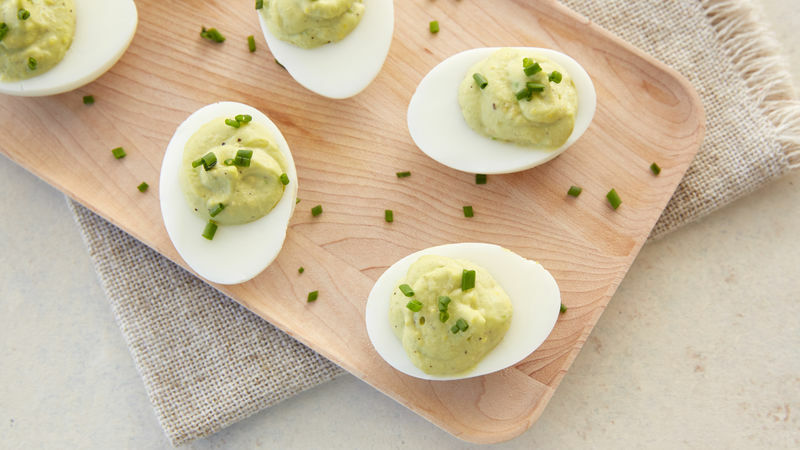 Squeeze filling into egg halves. Extra yolks can be crumbled on top of a salad.